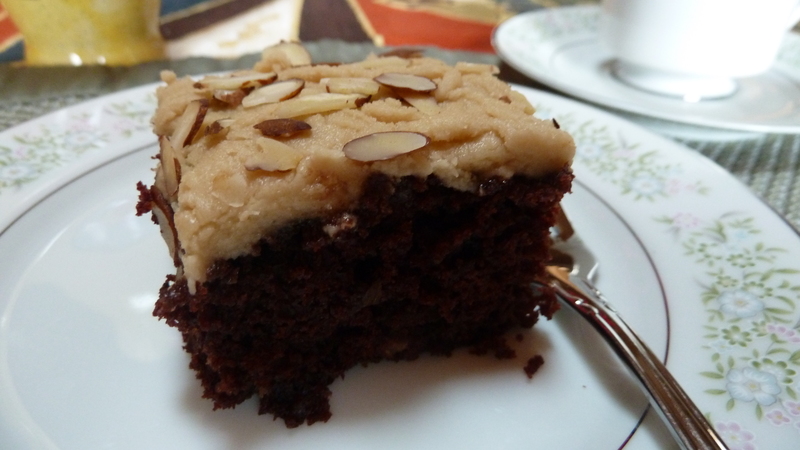 baking day, chocolate cake, Chocolate cake without eggs, cooking, penuche icing, Recipes, Whatever Happened to Dinner? Saturday was baking day in many households (along with cleaning day) when I was growing up. The mood to bake something still often strikes me on Saturday. This recipe is one of my favorite from what I now like to refer to as a cookbook, Whatever Happened to Dinner? Recipes and Reflections on Keeping Family Mealtime (Herald Press, 2010). There are almost 100 recipes in that book and I’m still grateful to the women who helped organize and test the recipes for that project. If you are in the mood for something sweet—this is like eating dark chocolate with candy on top. If you’ve given up all sweets for Lent, bookmark this for later! It contains simple ingredients–I’m guessing you already have all these ingredients in your pantry, and the cake doesn’t even take eggs! 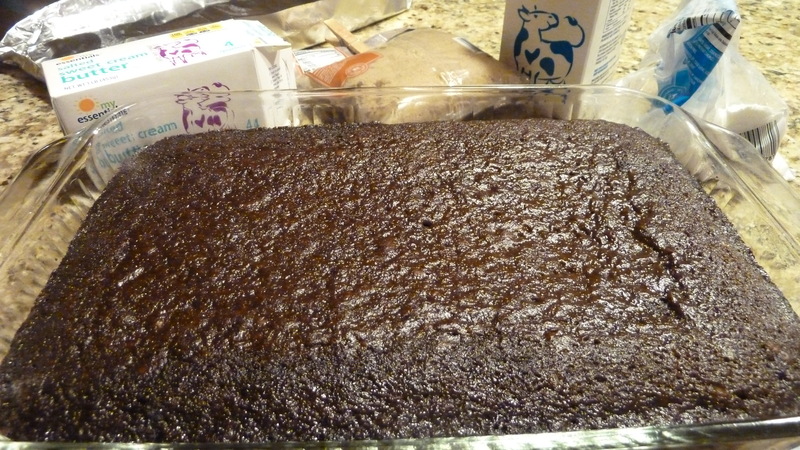 Bake at 350° F/ 180° C in two 9-inch round pans or one 12-inch by 17-inch sheet cake pan for 25–30 minutes. 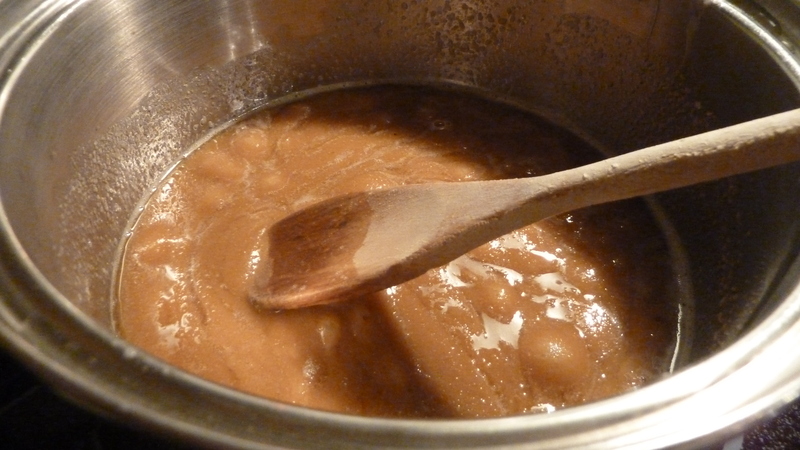 Melt butter, add brown sugar, and boil 2 minutes, stirring constantly. Add milk and bring back to a boil. Remove from heat and cool to lukewarm. Add powdered sugar a little at a time, beating until it is nice and creamy. Spread on cake. Add chopped pecans or slivered almonds for a final touch if you want. 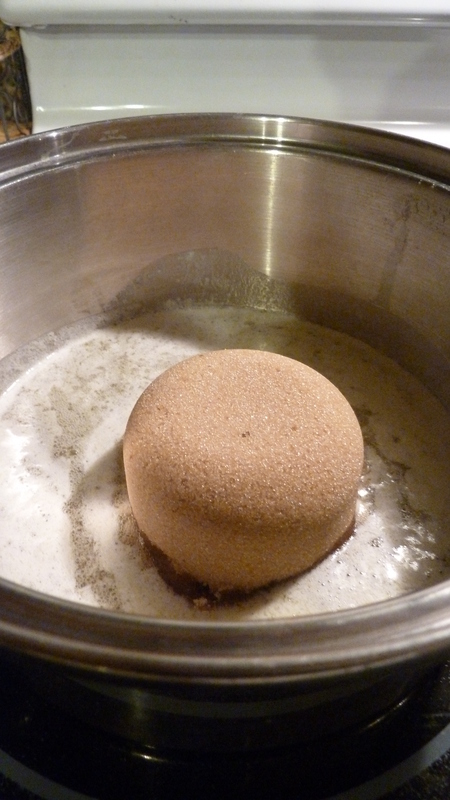 Melting butter in sauce pan on stove, add brown sugar. Boiling 2 minutes, stirring constantly. 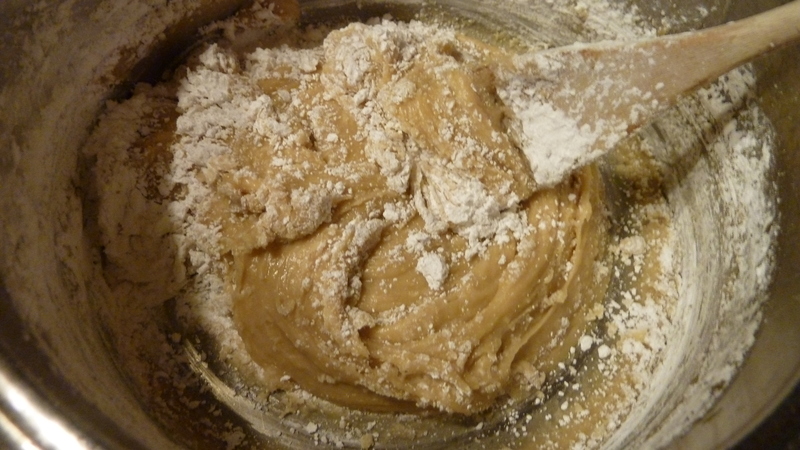 After the mixture has cooled to lukewarm, then you add your powdered sugar. The cake is rich, moist and good all by itself, or with chocolate frosting or a white frosting–for which there are also recipes in the book. 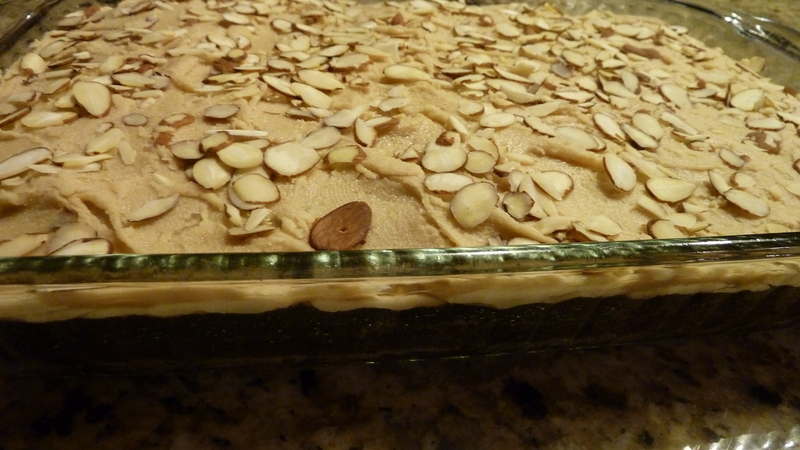 This time I added slivered almonds which makes the whole thing like a candy bar. I know, sinful, especially during Lent. But tomorrow is feast day! Looks delish! I kind of like the idea of bake something Saturday!! Thanks — glad you like the idea too. Thinking about making this a regular feature (at least once a month?) for this blog. We’ll see. I’m excited that you tried it and liked it! Hope it turned out well. Heard Jessie and Amber were home. Nice. Hope you all had a nice time.